Partnership 2017 - immaginepoesias JimdoPage! The “AMA-HASHI,” which appears in Manyoshu, the oldest existing collection of Japanese poetry, is a bridge that reaches heaven. In Greek mythology, Uranus, god of the sky was an ancestor of the Greek gods. Yes, it seems one can trace an aspiration of mind towards heaven both at the root of the Occidental and the Oriental culture. In our AMA-HASHI we would like to publish international poetry which possesses the noble and thoughtful quality needed for rising step by step from the earthly web of joys and sorrows to heaven. Here “universal poets” mentioned in the name JUNPA are those poets who seek to overcome their different liguistic, racial and historical backgrounds, who believe in the immortality of languages, and who wish to restore the humanity. To present poems aspiring the universal, written for people all over the world—this is the editorial philosophy we have in mind. May many sensitive poets cross the bridge here. The new Poetry Journal In Print. – Bao Giay is being developed by volunteers in both the US and Vietnam. Please, feel free to share our poetry journal with others, especially with other poets. 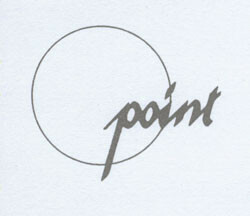 Point was founded in Belgium by the Flemish poet Germain Droogenbroodt with the idea of realising "a human, international conversation, between all people by means of translating and publishing poetry". Most POINT publications are anthologies, focusing the poetry from one country. This consists of an introduction into the poetry evolution of the selected country, a short bio-bibliography and 3-4 poems per poet, generally in the original language and in Dutch translation. Moreover the cover is always a reproduction in full colour of a work of art by a famous painter from the same country. Some editions have more illustrations inside the book. 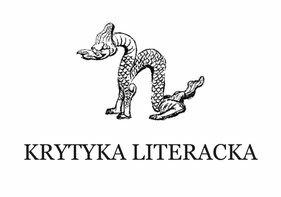 KRYTYKA LITERACKA is the arts and letters quarterly published in Poland. Founded in 2009 and edited by Tomasz Marek Sobieraj, presents essays, interviews with artists, poets, writers, intellectuals and – last but not least – poems and literary criticism. The magazine, with Polish and international perspective, aims to translate and publish poetry from around the world. On its pages we have already published poets from Bangladesh, Chile, China, Germany, Greece, Denmark, Finland, Indonesia, Island, Israel, Lithuania, Netherlands, Poland, Russia, Spain, Ukraine and the USA. Manifesto:: Poetry Pacific is of, by, and for true lovers of words and wisdom. About:: Established on the Remembrance Day of 2012 in Vancouver, Canada, Poetry Pacific is a quarterly literary e.zine committed to publishing poetry and promoting poetic/cultural exchange between the West and the East. Following a blind-editing policy, PP welcomes poetry submissions at editors.pp@gmail.com from anyone, anywhere and anytime. Mission::Poetry Pacific functions to publish and promote 'the Best Contemporary Poetry in English' it can find. Members read their work at monthly meetings held in Tel Aviv, Haifa, Jerusalem and other towns in Israel, and in Boston, USA and London UK and participate in workshops held regularly during the course of the year in Israel. Peter Thabit Jones is the Founder and Editor of THE SEVENTH QUARRY, a poetry magazine published in Swansea, Wales, with an international perspective, which appears twice a year, in winter and summer. The first issue was launched at The the Dylan Thomas Centre, Swansea, in January 2005. THE SEVENTH QUARRY Swansea Poetry Magazine aims to publish quality poems from around the world. Serbia, Sicily, Slovakia, South Africa, Spain, and Switzerland have already appeared in its pages. New York's Vince Clemente, as the magazine's Consultant Editor: America, ensures a steady stream of American poets. Each issue features a Poet Profile, a batch of pages given over to a chosen poet. The policy is to try to alternate between a British poet and a non-British poet. There is also a Books and Magazines page, which provides details and brief comments on received publications. The magazine is a cooperating partner with CROSS-CULTURAL COMMUNICATIONS PUBLISHERS, New York. American Poet Laureate Stanley Kunitz. prestigious digitisation project, which will ensure copies of the magazine are featured on its very popular website: regarded by many as the best source for poetry in the U.K. QUARRY was featured in THE GUARDIAN, one of Britain's leading daily newspapers, in April 2006. It was awarded SECOND BEST SMALL PRESS MAGAZINE IN THE U.K. 2006 by PURPLE PATCH (U.K.). Peter Thabit Jones organises THE SEVENTH QUARRY/CROSS-CULTURAL COMMUNICATIONS POETRY EVENTS, which have taken place at the Dylan Thomas Centre, Swansea, Dylan Thomas Birthplace, Swansea, and The Boathouse in Laugharne; and the first solo participant of the Series was America's Stanley H. Barkan. The World Poetry Reading Series at the Vancouver Public Library. The World Poetry foundation is built upon respect, honor, support, peace and love for all through the power of the arts and education. World Poetry boasts a strong Canadian and First Nations compo­nent; in the Lower Mainland alone, we are connected with over 500 poets, musicians and writers from 64 countries of origin. The World Poetry Electronic Newsletter is distributed to 7,000 readers in 25 coun­tries. The World Poetry Cafe radio show can be listened throughout the world on the internet. We host the popular monthly World Poetry Reading Series at the Vancouver Public Library, where we present events featuring multicultural and multilingual poets, writers, and musicians for your enjoyment, enlightenment, and edification. The World Poetry Café Radio Show airs every Tuesday night from 9-10 PM on Vancouver Co-op Radio (CFRO 102.7 FM), with your ever-eloquent hosts, Ariadne Sawyer and Alejandro Mujica-Olea. Guest hosts are Lucia Gorea and Angelo Moroni. You can find the latest shows on this site. The World Poetry e-Newsletter is distributed to 5,030 readers in 25 countries. To subscribe to or (Gasp!) unsubscribe from our newsletter, please specify your preference in an email to ariadnes@uniserve.com. We welcome volunteers for our special events and the daily work of World Poetry Canada and World Poetry International. We are a unique group with the goal of bringing out the voices of those who need to be heard, in respect, honour, support, peace and love. Our community partners are carefully chosen for their conscience, integrity and trust. The partners will mention World Poetry and as needed display our logo. Shabdaguchha is an international bilingual poetry journal edited and founded by Hassanal Abdullah, a Bangladeshi-American poet. Shabdaguchha and Immagine & Poesia. "We are celebrating the 15th anniversary of Shabdaguchha. Over these years, the magazine tried to publish the finest poems, both in English and Bengali. There were lots of difficulties fulfilling this goal, nevertheless we believe that we have been pretty successful. The help and support we have received from poets of different languages living in different parts of the world are tremendous. Though poetry is not something that can be sketched successfully in a day or two; continuous effort however makes a poet somewhat confident of what he wants to achieve. Same thing is applicable for a magazine too. Continuous search for good poems allowed us to come this far. Yet, we know that poetic achievement can never be measured by numerical scales. It always runs beyond standards and keeps on moving to set up new ones. We, therefore, would have to go miles before the end of this journey. Along the way, we established the Biannual Shabdaguchha Poetry Award in 2001. So far, this award was given to five Bengali poets living in Dhaka, Kolkata and New York. There will always be some critics. Still, we are deeply indebted to the people; the judges, the patrons, and the nominees; who helped us to make it possible. We believe that the bridge we have built between the poets of the East and west through Shabdaguchha would always be there throughout our journey and beyond. Therefore, we will not make any mistakes to thank our readers and contributors, who actually are the real heroes in our eyes. Without their gracious help and non-ending supports we would not be able to celebrate this day." 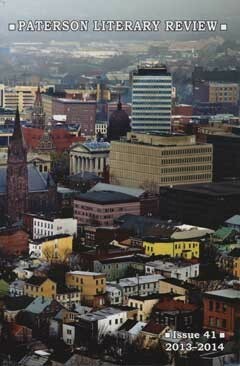 Paterson Literary Review and Immagine & Poesia. Poetry, Fiction and Essays by Marge Piercy, Steve Kowit, Jim Daniels, Gary Fincke, Nin Andrews, Joe Weil, Laura Boss, Kwame Dawes, Michael Cirelli, M.L. Liebler, Stanley Barkan, Maria Famá and others. The cost of the Paterson Literary Review #41 is $13.00 for each copy plus $5.00 for shipping and handling for the first copy and $1.00 for each additional copy. The Poetry Center was named a Distinguished Arts Project and awarded several Citations of Excellence, and is funded, in part, by a grant from the New Jersey State Council on the Arts/Department of State, a partner agency of the National Endowment for the Arts, and by funds from the National Endowment for the Arts. The PLR is a Literary Review established in 1979 featuring work by well-known writers, as well as by writers whose work is so good it should be better known. KEL was established in 1997 with the purpose of encouraging literary activity among Koreans overseas and of promoting Korean literature on a world-wide basis. The first participants of KEL included poets Ko Won (U.S.), Lee Jin (Russia), Chol Kim (China), and novelists Hwe-Sung Lee (Winner of the Akutagawa Prize).